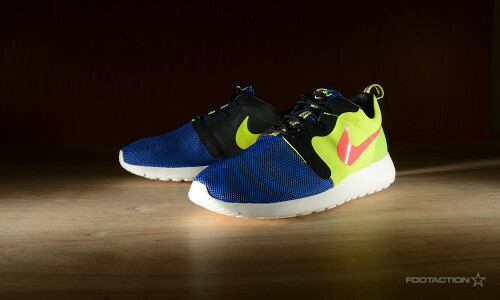 After the initial unveiling of the Magista collection from Nike Sportswear, the Nike Roshe Run ‘Magista’ was one of the early favorites as the collection’s colorway was spread on the “modern classic” silhouette. Inspired by this year’s World Cup in Brazil, vibrant colors such as Volt, blue and bright pink made their appearances, all while sitting atop a clean white sole. This sneaker is an equal balance of style, comfort and technology. Print article This entry was posted by hhcblog on July 2, 2014 at 9:16 am, and is filed under Footwear. Follow any responses to this post through RSS 2.0. You can leave a response or trackback from your own site.